When talking about Banking, people generally group Banks, Credit Unions, and Savings & Loan companies all in one group. They do provide similar services, but they each have specific differences that might make them a better or worse fit for your financial needs. All three of these institutions can do all the things you would normally associate with a “bank” – opening checking and savings accounts, making commercial loans, and issuing residential mortgages. When you deposit cash at a bank, credit union, or savings and loan, you will put it into a checking (also called “Current”) account or a savings account. Savings accounts are usually the first type of bank account you might open as a child. 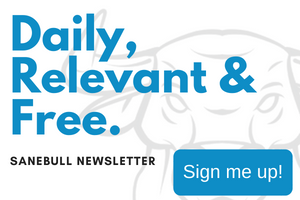 This is an account where you can make deposits of cash, and earn interest. How much interest you earn can vary a lot based on how much you have saved, how often you withdraw, the overall market interest rates, and even just by institution. Savings accounts pay interest because banks use the money you have saved to make loans to other people and businesses. This is also the reason that you might get a better savings rate if you keep the balance in your account higher – if the bank knows that your deposit isn’t going to suddenly be withdrawn, they are more secure in lending it out and so encourage you to keep it saved. If you tend to withdraw a lot of your money from a savings account frequently, the bank has a harder time maintaining that cash balance necessary to make loans, so they are not going to give as high a rate. 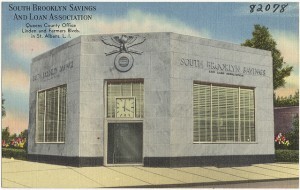 Credit Unions generally specialize in savings accounts. Checking accounts are where you store your “day to day” money, meaning you will have a lot of frequent deposits and withdraws. Your checking account is the account that gets drawn down when you write checks, use a debit card, and usually where you pull money from when you use an ATM. Since banks have a lot more management necessary for a checking account (processing check payments, keeping many detailed transaction records, ect), there are usually fees associated with owning a checking account, and it does not usually pay interest. Some institutions might cancel your fees if you keep a minimum balance in your checking account (just like they give higher interest rates if you keep a minimum balance in your savings account), but this can vary widely by institution. A “Commercial Loan” is a loan made to a business, usually to “start up” or to expand their operations. Banks, Savings and Loans, and Credit Unions differ a lot on how much of their business comes from commercial loans, but for small businesses looking to secure start-up loans, each institution might be a good choice. Just because banks specialize on commercial loans does not mean they offer the best rates for you! If you want to start a business, always explore all your alternatives and shop around for the best interest rates! Commercial loans have a lot of different types, from a commercial mortgage (to buy new land or build a new building) to just the costs of renting and renovating a storefront and getting open for business. The duration of these loans can be anywhere from 18 months (small, short-term start-up loans) to 25 years (larger commercial mortgages). Unlike a normal mortgage, it is rare for a business to pay off their entire loan. When a business pays off a certain percentage of its loans and has continued to grow, they will usually use the equity they have built up to make more loans to finance their continued growth. This does not apply to some small businesses without a large expansion strategy, but does apply to medium and large-sized businesses. Banks generally specialize in commercial loans. A residential mortgage is a loan that a person or couple takes from a bank, credit union, or savings and loan institution to buy a house. A residential mortgage is usually for a very large amount (usually over $100,000 and often more than $1 million), and is usually paid over 25-30 years. Residential mortgages are for very large amounts of money and take a very long time to pay off. This means that the institution you borrow from for your mortgage needs to have a lot of deposits available to make sure they have enough cash to make these loans. Savings and Loan institutions generally specialize in Residential Mortgages. What is the difference between Banks, Credit Unions, and Savings and Loans? Despite offering some similar services, there can be huge differences between these three types of financial institutions. Banks are for-profit corporations with a charter issued at the local, state, or national level. They issue stock which is owned by investors, and those investors elect a board of directors who oversee the bank’s operations. Banks generally specialize in commercial loans – making loans to businesses to help them get started or expand. Local banks are becoming less common, while national banks are becoming a lot more common. Over the last two decades, many local banks have been bought or merged with State banks, who in turn were bought or merged with National Banks. 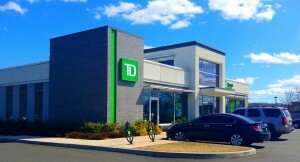 This has some advantages – by using a national bank, you will have access to a bank branch, ATMs, and in-person account services in a lot more locations than smaller institutions. Larger banks generally offer a lot more account management services and account types than other institutions. For example, a national bank might offer some types of checking accounts that offer points and rewards for certain types of purchases (like gas and groceries). Because they are much larger, banks also generally have better online banking services, with more account management services. This includes things like transferring between your checking and savings accounts, viewing the checks you have previously written, checking balances with mobile apps, opening and closing credit cards, and managing automatic payments and deposits. Banks will also generally offer a lot more choice for residential loans as well. There are some significant drawbacks as well. Banks generally have higher fees than other institutions for its services, with lower interest rates for savings (although this is not always the case). It is fairly rare to find truly “free” checking accounts at banks. The large amount of choice you have for your savings and checking accounts can be a drawback as well – if your life circumstances change from what they were when you first opened your account, you might end up with more fees and less benefits than with a different account type, but very few people consider changing very often. Credit Unions are the financial opposite of banks – they are non-profit, almost exclusively local, and are owned by the people who make deposits. Every member who makes a deposit at a credit union is a part-owner, and can vote on issues relating to the union. They can also get elected to be the managers of the savings and loan. Credit unions specialize in savings accounts and making short-term loans. Since they are non-profit, all the profits made by these loans are given back to the credit union’s depositors as dividends. Many depositors also prefer credit unions because of the more “Personal Banking”. 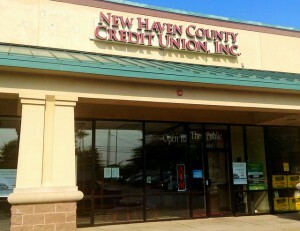 This is because credit unions are almost exclusively local, and the credit union relies on the deposits to stay in business, and so they often have a reputation for excellent customer service. Since they are smaller with less management costs, Credit Unions will often have better savings account rates than a bank, and you are more likely to find free checking accounts. Just because credit unions do not specialize in commercial loans and residential mortgages does not mean they don’t make them! They might not have as many options available as a bank, but you might find a better interest rate! Credit Unions also have their own drawbacks. They do not focus on commercial loans, and so if you want to start or expand a business, you might have to look elsewhere. They also prefer short-term loans, so you might also not be able to get many options for a residential mortgage. They are also much smaller than banks, which means you might not have access to as much of the online account management features, like bill payment and opening new accounts. If you travel a lot or move, the local credit union will also not be able to provide much service if you are outside their immediate area. Savings and Loan institutions focus strongly on residential mortgages. In fact, by law they need to invest 65% of their assets in residential mortgages, and only up to 20% in commercial loans. They can also be local or national (like a bank). Savings and Loans can be organized like a bank (owned by investor shareholders) or a credit union (owned by the depositors), but is always for-profit. Specializing in residential mortgages means that you might find the most flexibility for your mortgage at a Savings and Loan, and their smaller focus means that you will often see better terms for mortgages here than elsewhere (but not always!). Savings and Loans do suffer from some of the same problems as credit unions. Their emphasis on slow-maturing mortgages means they are often lagging behind banks with account management and online services. 1 of 3) What is the biggest difference between a Bank and a Credit Union? 2 of 3) What is one advantage of a Bank over a Credit Union? 3 of 3) Which institution will likely offer online bill payment features?